This approach accounts for engagement, but is more robust against scam bots and doesn’t unfairly rank coins highly soley on their number of followers. 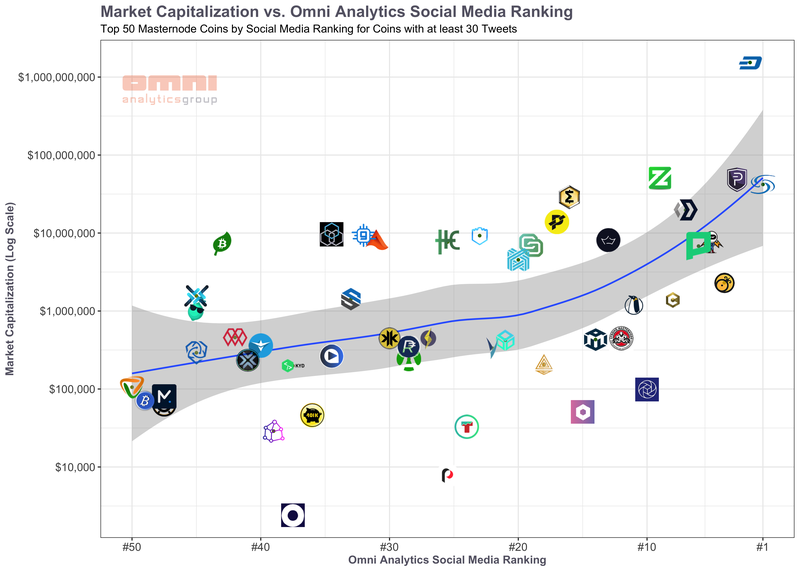 A natural next step in the analysis workflow would involve simply graphing our ranking against current market capitalization. 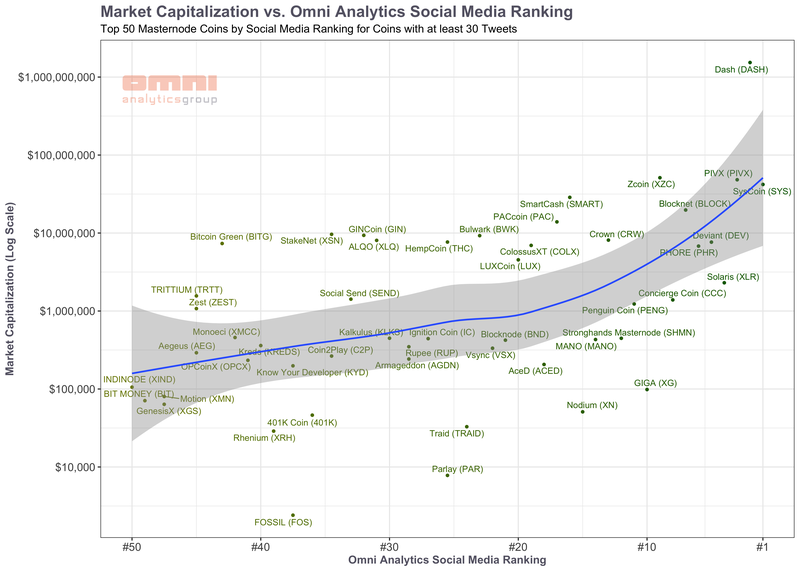 We performed said analysis, and after scaling the y-axis with a logarithmic function, our graph revealed a highly correlated relationship between the social media score and market capitalization.